SEATTLE, WA - November 07, 2006: Bolide Software has announced the release of "All My Movies" 4.0, described by reviewers as "The first Oscar worthy movie collection software for both home and commercial use". The 4.0 version is the first major upgrade of Bolide's flagship product in 3 years - offering users a sleek new interface and more of the automatic collection features which have kept "All My Movies" at the top of its category for years. What is "movie collection software"? Those who collect feature films, whether on VHS tape or DVD, have always been faced with how to organize their collection without the tedium of database creation and typing endless updates and labels. "All My Movies" uses studio-approved internet sources like Internet Movie Database, DVDempire.com, moviemeter.nl, Amazon.com and others so that all a collector has to do is type in a movie's title and a professionally formatted, fully annotated entry is created - everything from release year, studio, full movie cast, production details and more, right down to full-color cover art or feature stills. "Movie collecting is an act of deep affection." Says Bolide President and CEO Max Smirnoff, "So we have worked very hard to give collectors a product as delightful as the movies they treasure. "All My Movies 4.0" is our best work." If a collector wants a different cover image or would like to get his/her own, "All My Movies 4.0" offers you a screenshot capture utility. With its help, you can capture screenshots directly from your DVD or AVI movie file. "All My Movies 4.0" displays the information about each movie using one of the many HTML templates. Each user can easily customize a design of the template to make it a personal expression of their style. But that's not all! "All My Movies 4.0" has a bar code functionality, and it means you can add DVD using UPC/EAN bar codes. Simply scan or enter bar code numbers and the program will extract all the information automatically. This ability is extremely great for the owners of DVD rentals or shops equipped with special scanners because they can add new movies literally "on the fly". For those users, who use Excel spreadsheets or other documents to keep track of their collection, "All My Movies" allows importing available video collections from other formats, including CSV text format, MS Excel files, AMC files. Three methods of creating a movie database are very simple, making "All My Movies 4.0" stand out from the rest of the software. Other significant advancements are its search, export and rental features. "All My Movies 4.0" can find any movie you need at a blink of an eye and one mouse click. Simply specify the criteria for the search (title, director, actor, year, synopsis, loaned to, etc.) and off you go. The feature is great for DVD rentals and people who lend out movies. Besides, "All My Movies 4.0" tracks what, when, and to whom you have allowed to borrow from the collection. For your convenience, there are filters that can display the statistics related to most wished, unseen, loaned, and overdue movies. Collections can be saved to a variety of formats (HTML, plain text, Microsoft Excel format) and loaded even to mobile devices like PDA or smartphones! "All My Movies 4.0" runs under all versions of Microsoft Windows and costs $34,95 (USD) for a single-user license. For other types of licenses, please refer to https://www.bolidesoft.com/allmymovies/purchase.html. Licensed customers are entitled to the fully-functional version of the product, free technical support, free updates to minor version and upgrades to major versions with considerable discounts. Further information on "All My Movies 4.0", additional plug-ins to enhance the functionality of the basic version, as well as a free trial copy is available free of charge from https://www.bolidesoft.com/. Founded in 2001 by Max Smirnoff, the goal of the company is to develop products for the users of Windows platforms. The company's premium products include "Image Comparer", a tool for search for similar images, and "All My Software", a software inventory project for home use. 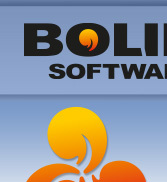 For more information, please visit the company's site at www.bolidesoft.com/. All My Movies - Amazing product! "I have over 350 DVDs and I first realized I had a problem when I purchased a movie I already had in my collection. In addition, I kept forgetting who I lent my movies to an indeed lost some. I got All My Movies and all problems solved."